PRWeek's editor Danny Rogers has been promoted to take a wider brief within the publishing group Haymarket. Rogers, who has been editor of the PR industry’s bible for the past six years, has been made editor-in-chief, Brand Media – the division of Haymarket that specialises in marketing and media titles. While retaining responsibility for PRWeek, Rogers also becomes editor-in-chief of Campaign, Marketing, Brand Republic, Event and C&IT. Rogers will report to Brand Media’s publishing director Rachael Stilwell, and work with Haymarket Business Media’s editorial director Dominic Mills to guide the division’s content strategy. 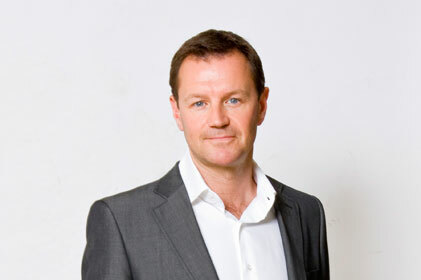 Beginning his career as a graduate trainee for leading 1990s PR consultancy Paragon Communications, Rogers has since been a senior writer for many media and marketing titles including the Financial Times, The Guardian and ‘I’. He was previously deputy editor of Marketing magazine. Brand Media is the biggest publisher of marketing and media titles in the UK and part of Haymarket Media Group, the country’s largest independent publishing firm.